Based on my vague memories of the highway an hour or so out of Las Vegas. In my head its always magic hour and the rocks and the mountains pick up a bright saturated pink. I got to spend the long weekend somewhere snowy and we were lucky enough to get a foot of fresh powder the night we arrived. Unfortunately that same day I came down with the flu and spent the remainder of the trip watching bad movies on cable and drinking hot tea. Here's a painting I did the day we arrived while everyone was napping . 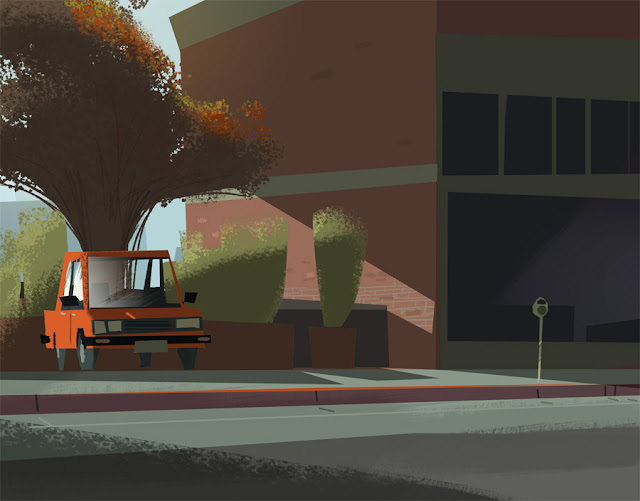 Here's a demo I did last night for my Visual Development Class at CDA. We were playing with creating a strong focal point, grouping and working off reference images. I was having a lot of fun working on this painting and my wife had to pry the wacom pen out of my hands so she could get started on her demo. 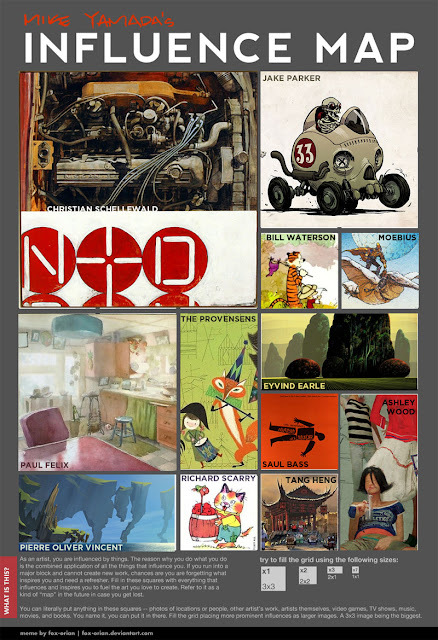 We're exploring inspiration/influence in my Visual Development class tonight and doing these for fun. I did this one as an example and I thought it would be cool to share here.